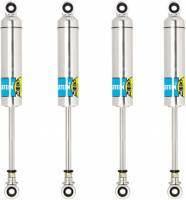 Bilstein SZ Series Digressive Valve 2" Steel Body Shock w/ Ends are designed for Asphalt & Dirt Late Models and IMCA type Modifieds. Bilstein's industry leading digressive valving technology with their patented piston head design delivers a new level of control by damping slow suspension movements more effectively. Also, sharp bumps do not upset the chassis. 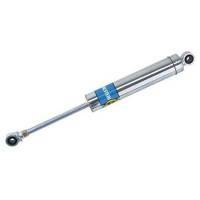 Bilstein Digressive Valve 2" Steel Body Shock w/ Ends are designed for Asphalt & Dirt Late Models and IMCA type Modifieds. Bilstein's industry leading digressive valving technology with their patented piston head design delivers a new level of control by damping slow suspension movements more effectively. Also, sharp bumps do not upset the chassis. Coil-Over Applications require Bilstein Coil-Over Kit sold separately.